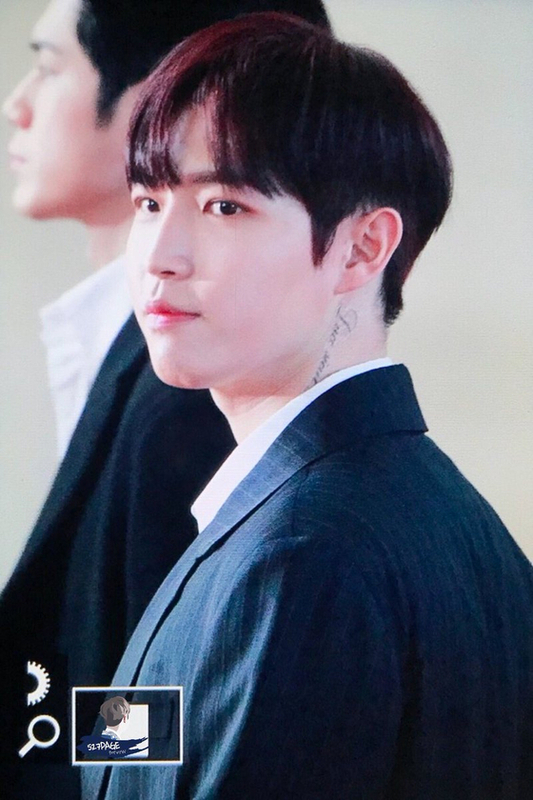 PHOTOS: The Meaning of WANNA ONE JAEHWAN's Neck Tattoos?? 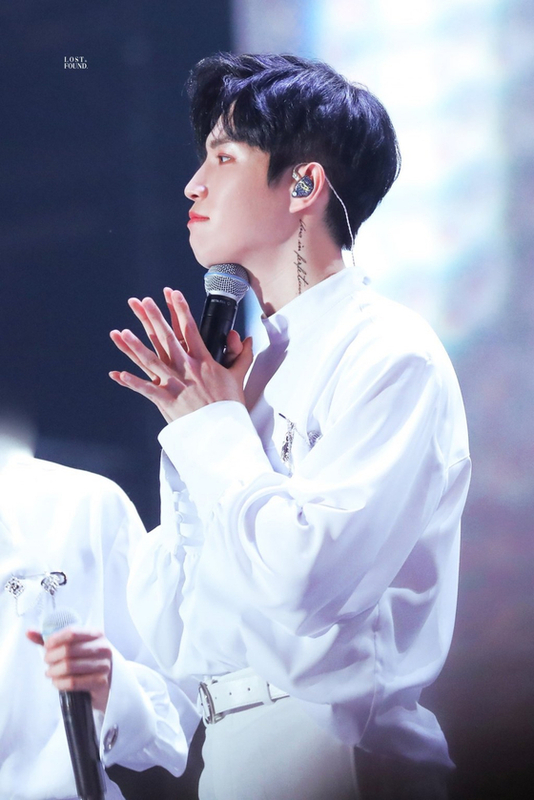 WANNA ONE had their last round of concerts during four days from January 24th until yesterday, January 27th. 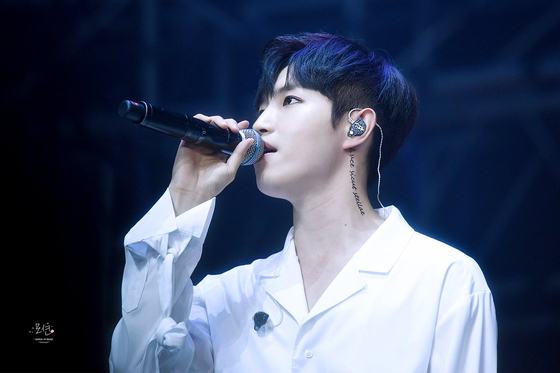 With much joy at their opportunity to perform another concert together as a group, but also with many tears due to it being their final concert together, the last four days were a whirlwind of emotions for Wanna One members and Wannables alike. 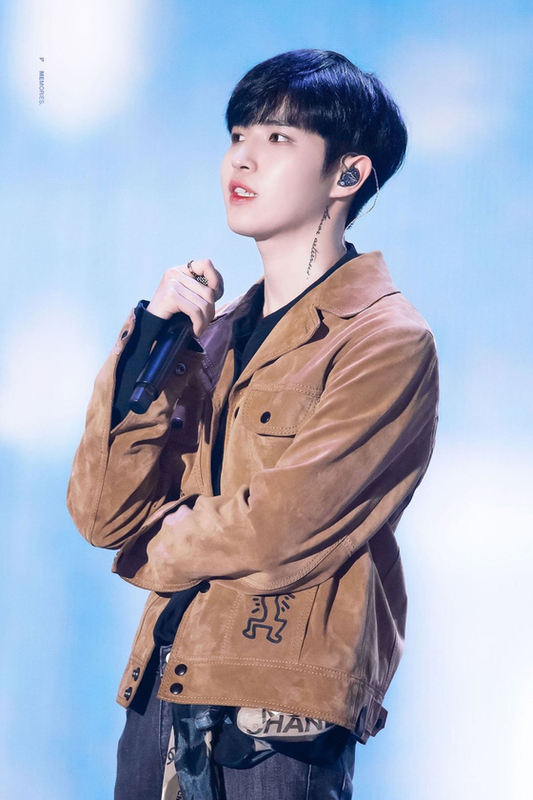 Throughout the four days, fans noticed that one of the members in particular, Kim Jaehwan, added a little something-extra to his look, with a meaning that really touched the heart of his fans and Wanna One fans in general. That special something, was a neck tattoo. Not only did he wear these neck tattoos for the four days of concerts, but he even switched up the designs. All of them were Latin words in a calligraphic font, and each had a special meaning. 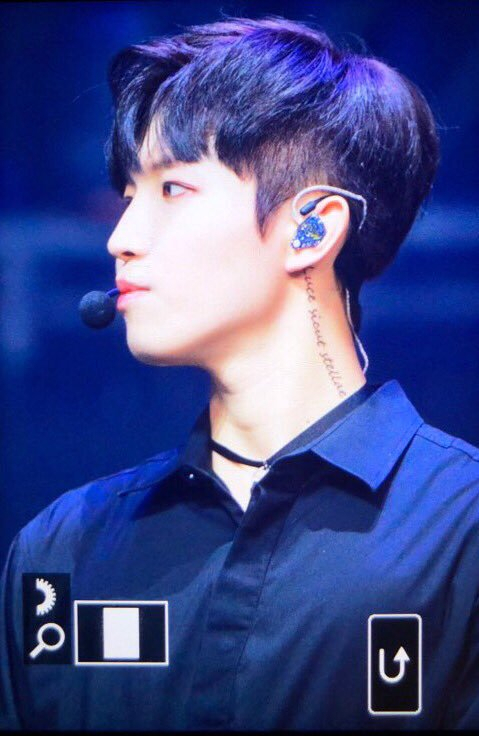 On Thursday, January 24th, the first day of the Wanna One Therefore concerts, Jaehwan was shown wearing this neck tattoo, reading "amare aeternum," which means "eternal love." 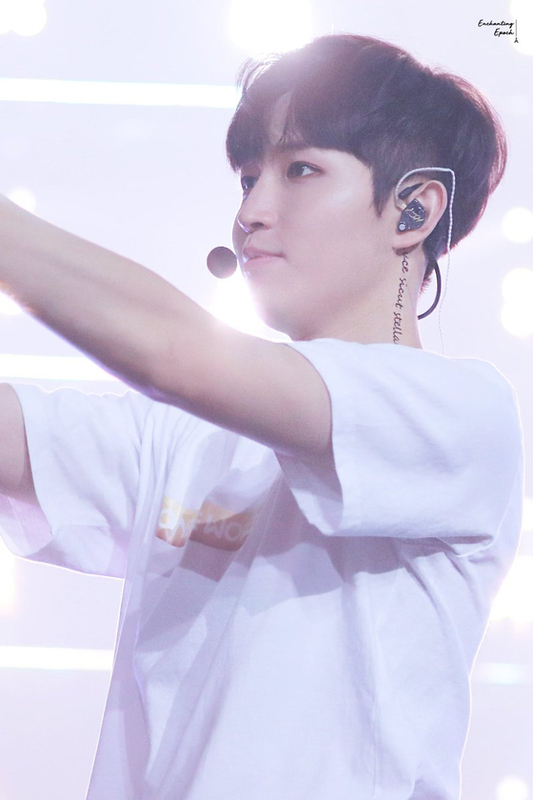 The next day, although maybe not surprised to see a neck tattoo, fans were surprised, however, to see that Jaehwan had actually switched up the tattoo. That day it read, "una in perpetuum," or "together forever." 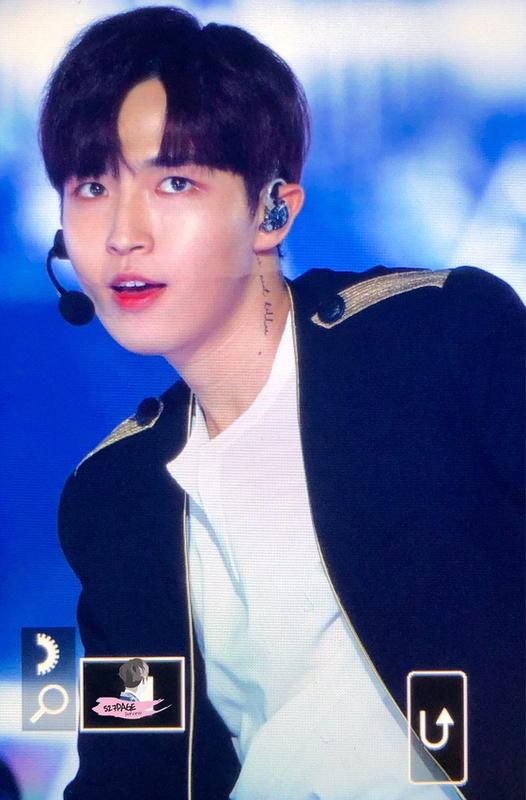 On Saturday, Jaehwan switched his tattoo back to the one he used on Thursday, "amare aeternum." 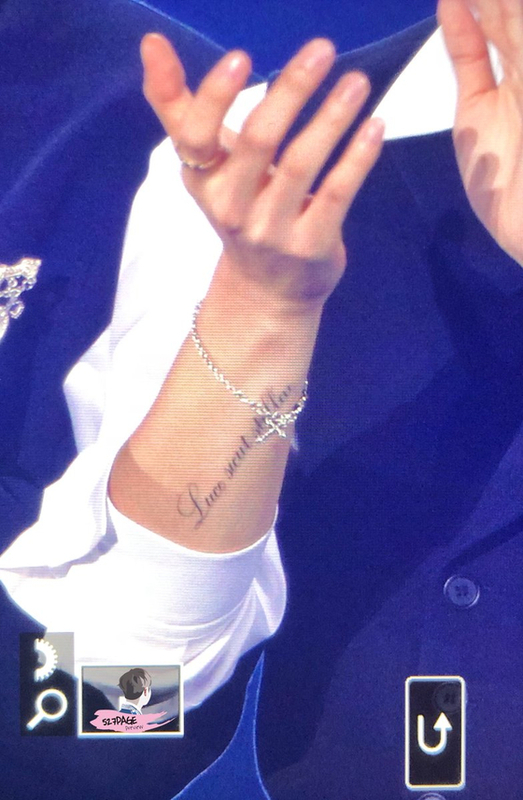 On the last day, January 27th, his last tattoo said "tempus fugit amor manet," or "time passes, but love endures." The words themselves do not require much explanation. 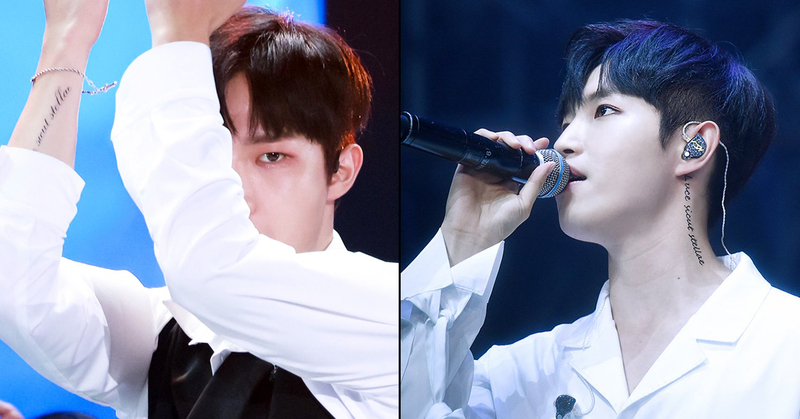 These few, simple phrases state beautifully how Jaehwan and the other Wanna One members must have felt as they started to perform during their last few days together as one band. 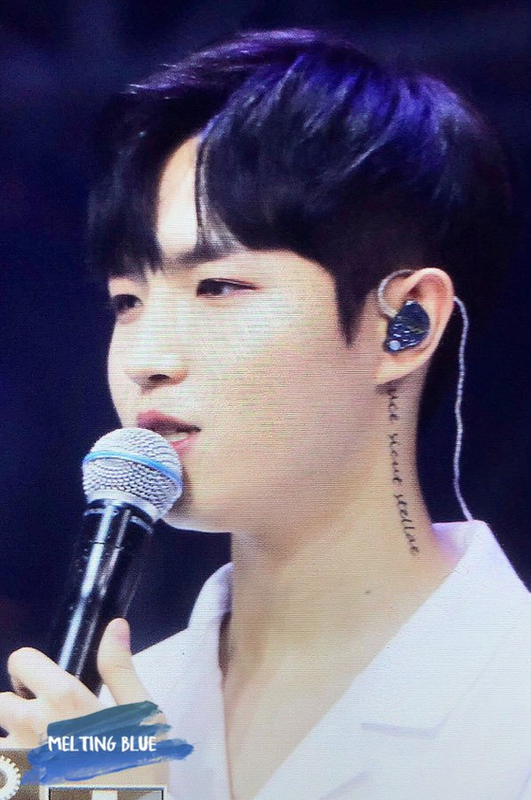 The overall message of the three tattoos shows his love and passion for both Wanna One and his fans, while also promising to never forget the good times and cherish them all forever in his heart. 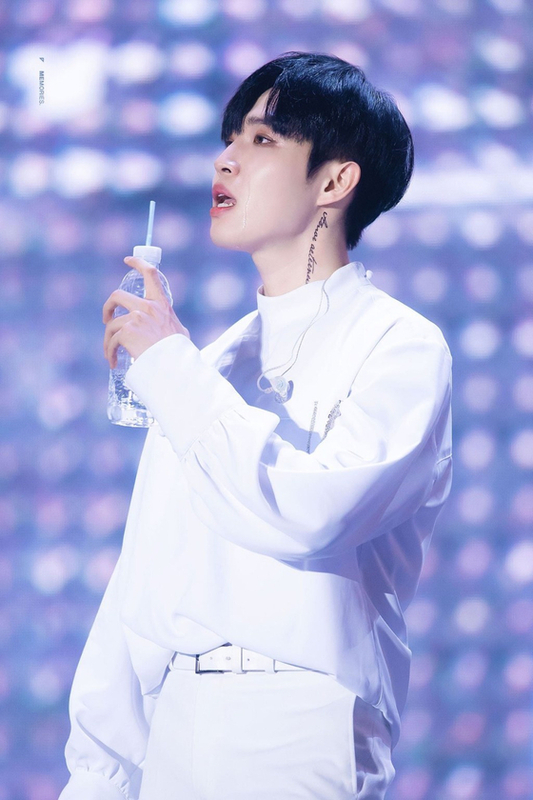 Anyone who is a fan of Jaehwan, however, would know that this is not the first time he has been seen sporting a temporary tattoo- neck or elsewhere. 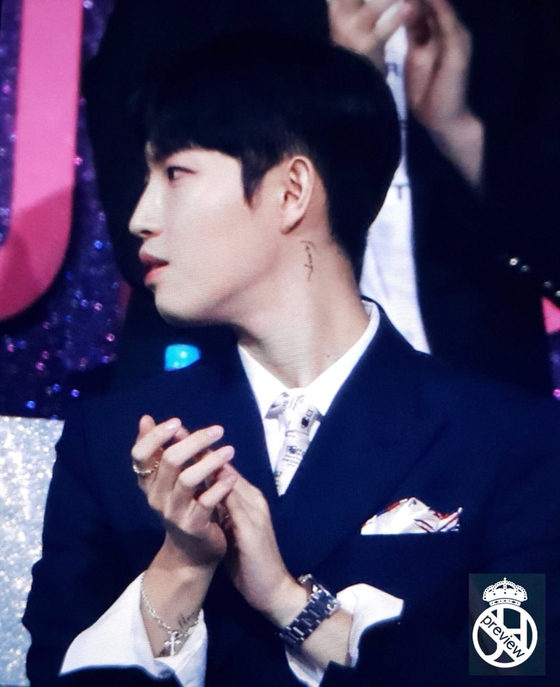 The first appearance seems to have been last year on August 30th during the 2018 Soribada Best K-Music Awards, where fans caught a glimpse of some words tattooed on his arm. 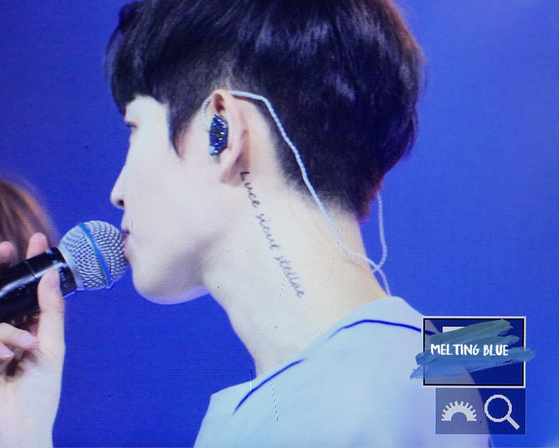 This tattoo, "Luce sicut stellae," means "shine bright like the stars." 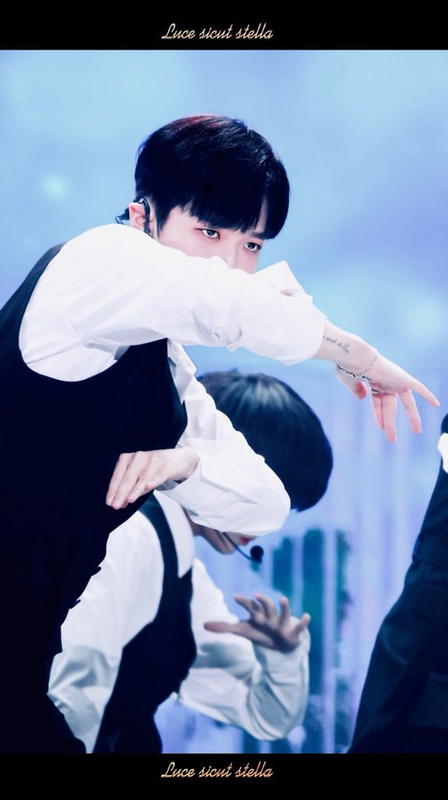 The next day, Wanna One went on the show Produce 101 for a live broadcast, and fans two more tattoos- one below his ear on his neck, and another on the bottom of his wrist. 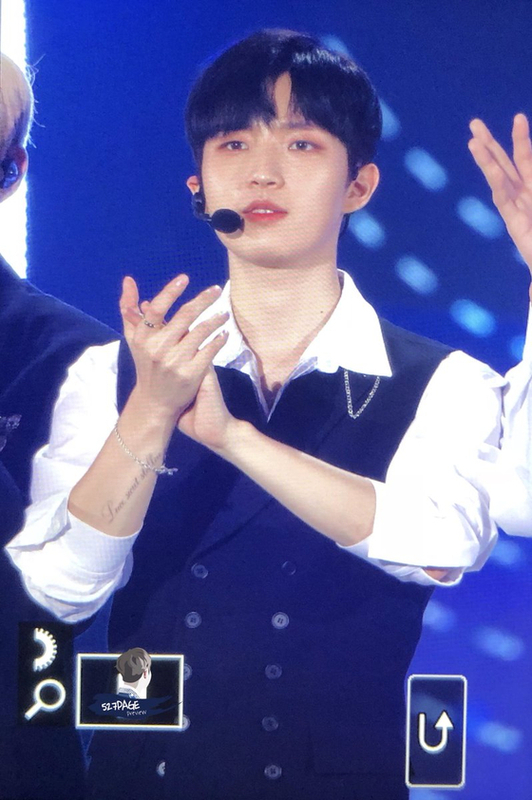 Yet again, Jaehwan switched up his tattoos the very next day on September 1st for their concert in Manila. 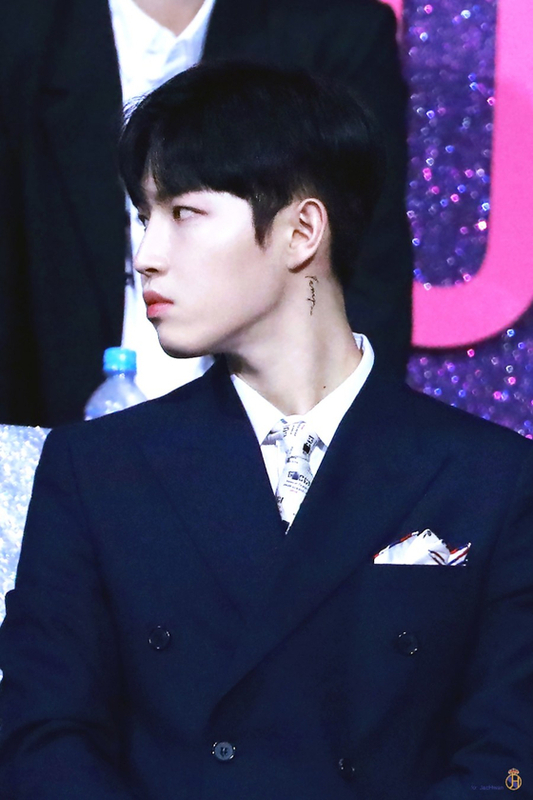 This day, he had the same phrase behind his ear as the phrase he had on his forearm, "Luse sicut stellae." 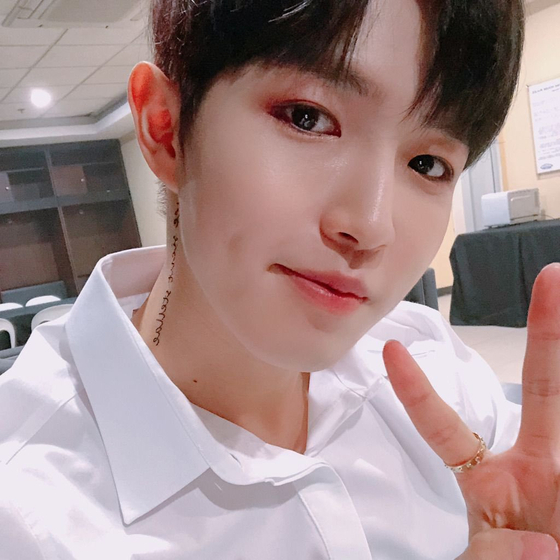 If that was not enough for all his fans, he continued on again the next day to post a selfie he took on their official fan cafe. 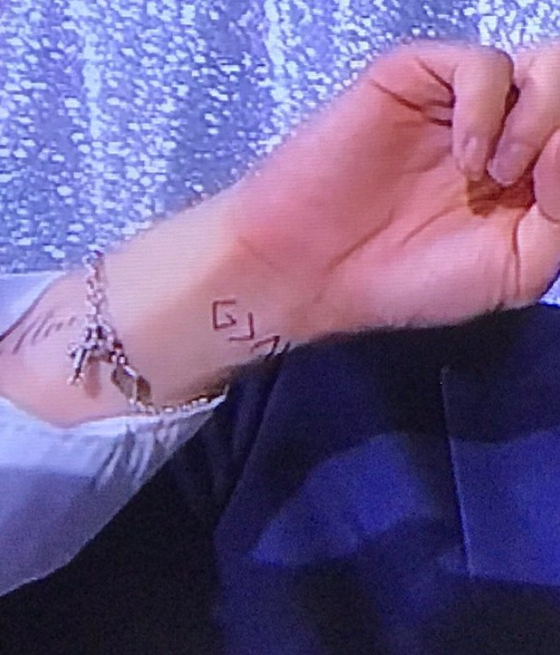 Fans went wild over his dimples, peace sign, ring, eyes, and of course, the infamous neck tattoo. 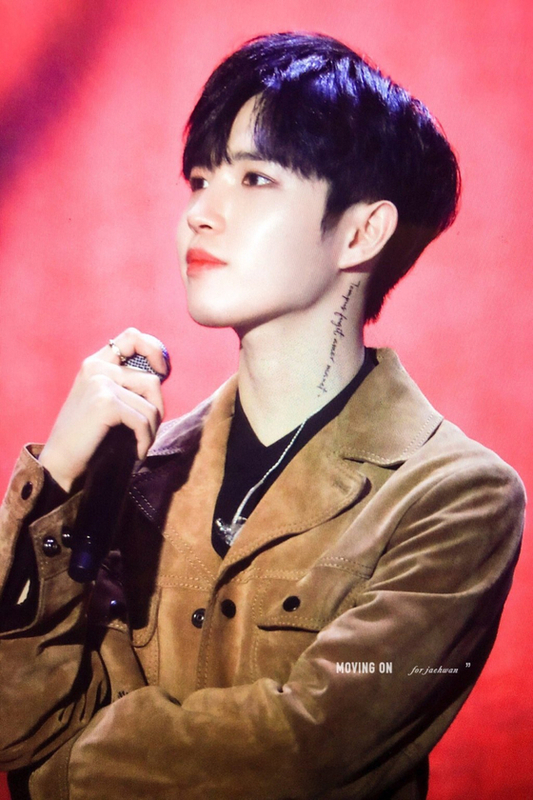 After a period of no apparent tattoos, Jaehwan once again whipped out the ink and sported the familiar neck tattoos, as seen on November 28th at the 2018 AAA and on Dec 1st at the 2018 MMA. 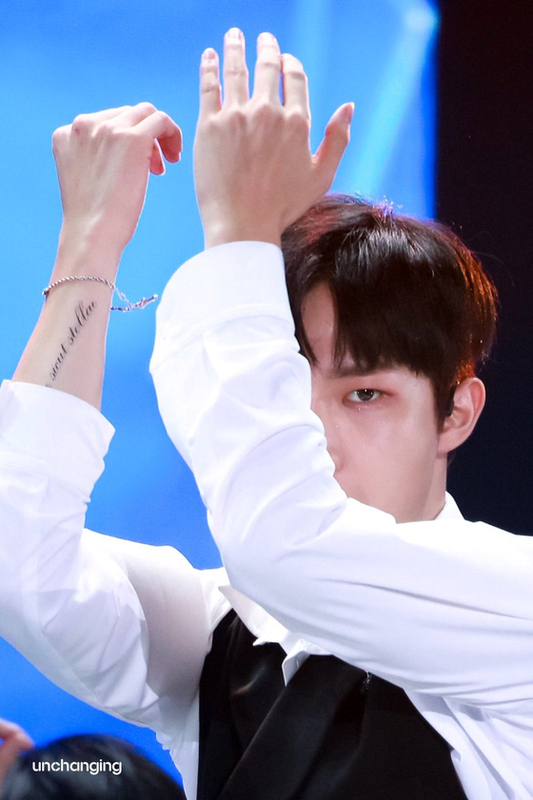 Although his tattoos may not be permanent, the meaning behind them is one that will last forever, same as the everlasting love between Wanna One and Wannables.